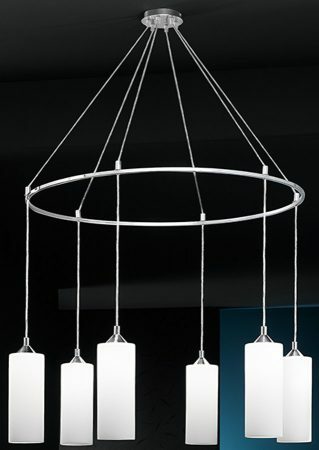 This Franklite Pendeo polished chrome 6 light ceiling pendant with opal glass cylinder shades is contemporary, stylish and bright. 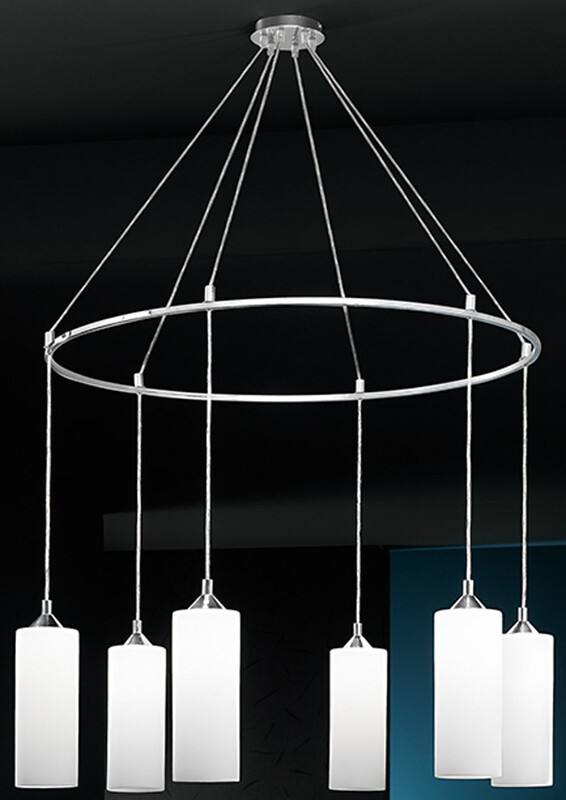 Ceiling mount and multi-wire suspension leading to a circular polished chrome chrome frame, with six opal glass cylinder shades hanging from clear cables. All cables are 200cm long and can be adjusted at the time of installation to suite. Perfectly suited as a modern stairwell feature or any large room with sufficient ceiling height. Also available with elliptic cylinder shades, please see below. 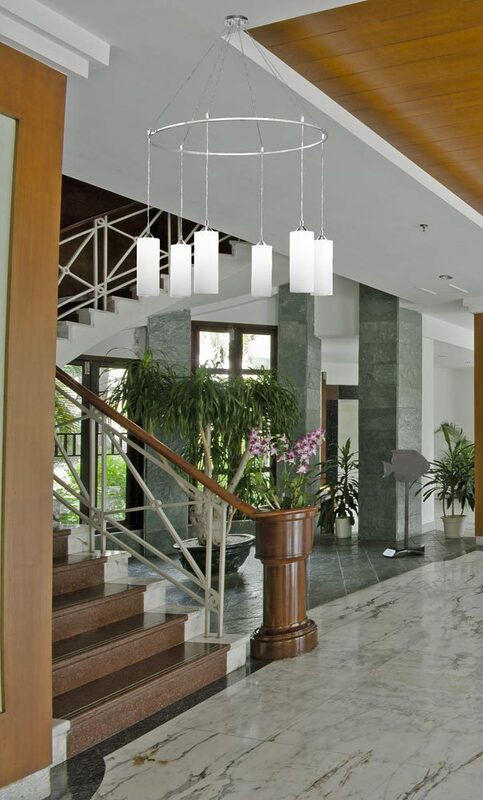 This contemporary light is supplied by Franklite Lighting who have been one of the pioneers in the design, manufacture and distribution of high quality lighting such as the Pendeo polished chrome 6 light ceiling pendant with opal glass cylinder shades you see here.